As far as the mail server goes, we need to be aware of is there are some domain that use the mail server’s IP that we dont control. Lake Stephens presently has 20 miles of trails for walking, biking, hiking, and horseback riding. Keep your horses close by at J&S Stables, located less than a mile from Lake Stephens. Lakeside Loop – (green) 5-mile loop that travels the east bank of the lake for 3.5 miles and returns along the maintenance road. The trail offers 700 feet in elevation change. The trail is rocky in sections and has 3 bridge crossings across washout gullies. Ridge Loop – (red) 3-mile loop that travels the parks eastern boundary and back along the maintenance road. This trail reaches the highest point in the park of any trail. This trail has 350 feet of elevation change with a ½ mile long hill climb. 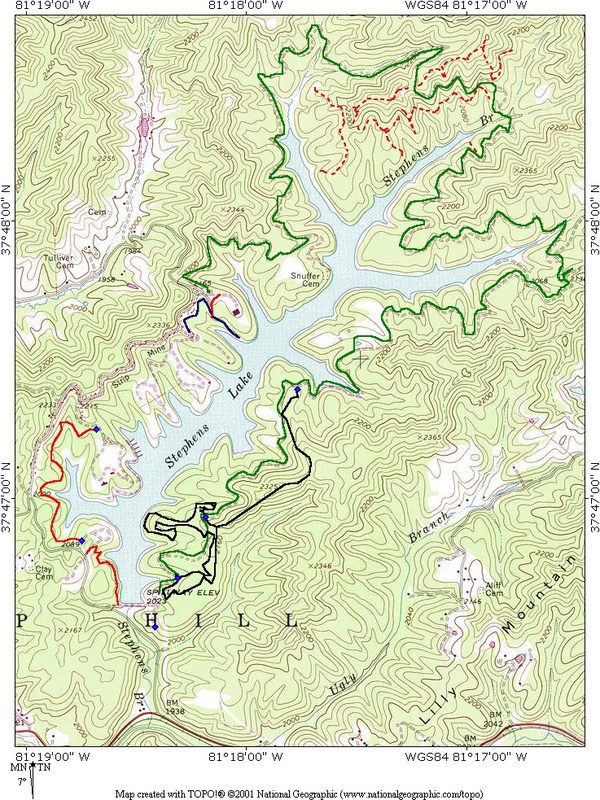 Lake Ridge Loop Combination – (green and red) 5-mile loop connect the two trails. The trail offers 900 feet in elevation change and several short steep climbs. Pavilion to campground (purple) – .5-mile trail connecting the campground and pavilion. Campground (blue) – .25-mile trail using the campground road to the next section of trail. Campground to recreation area (purple) – .75-mile trail through the overflow camping area to the recreation area. Recreation area to overlook (blue) – 1-mile trail from recreation area to the overlook. Several of the trees along this trail have been marked for tree identification. Overlook to dam (purple) – .5-mile trail across the overlook parking area down along the lake coming out at the dam. Lake Maintenance Road (blue) – 12.5-mile loop traveling around the lake. There are several gates and turns. These are marked with white trail markers and arrows. This road is unmaintained and can be rough in places. There is 1300 feet in elevation change with a 300 foot .66-mile hill climb at the midway point. All trails are open to hikers and bicycles. Only the Lake Maintenance road is open to horse traffic at this time. Please always be courteous of others on the trails. Pedestrians always have the right of way. Please report any suspicious activity or unauthorized vehicles (4 wheelers, motorcycles, etc) to your nearest park staff or facility.